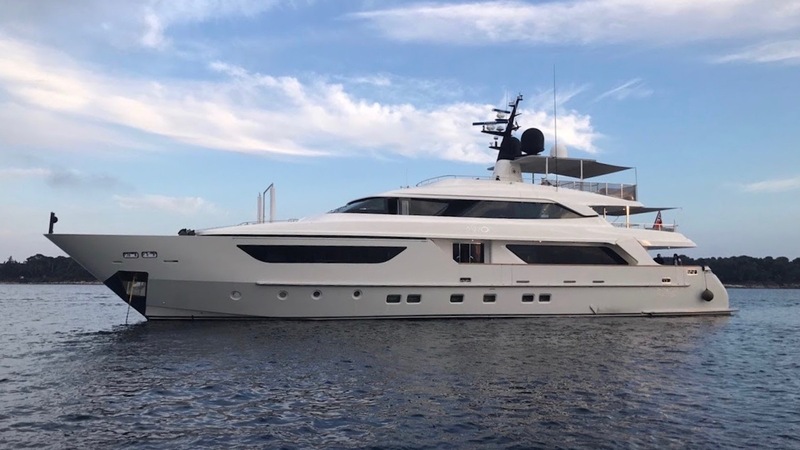 Built by Italian yard Sanlorenzo in 2009, and fresh from a refit in 2019, Awol is one of Sanlorenzo’s popular SD122 models and is ideally suited for charter with ample spaces on board, a stellar crew and an array of water toys. She has been set up with families in mind and is sure to prove a popular choice for family charters and smaller groups alike. With an adventurous spirit Awol has been taken extensively around the Mediterranean by her owner and has proven that she is perfectly suited to exploring everywhere from private coves to bustling cities – truly the perfect base for experiencing the beautiful Mediterranean. One of Awol’s best assets is her amazing crew of eight with their wonderful team spirit and reputation for creating the perfect charter experience by tailoring their world class service to every individual who steps on board. Awol has a bright modern interior with pops of colour and beautiful art work throughout the vessel. Like all Sanlorenzo designs she has a huge number of different spaces on board for guests to enjoy, ensuring variety and privacy within a larger group if desired. She has two salons, giving plenty of options for guests, with one on the main deck and one on the upper. The main salon is home to a full formal dining table and large lounge suite, while the upper deck salon is a more relaxed space with lounge suites, an entertainment system and desk, paired with sweeping views. Accommodation is for twelve with a large master suite, VIP, two doubles and two twins with Pullmans. All cabins are bright and spacious with ensuites and entertainment systems, providing beautiful spaces for guests to retreat to after an enjoyable day on board. Outdoor spaces are plentiful with an array of choice including the aft deck with large casual lounge seating, with this deck leading directly into the main saloon. The upper deck offers a sheltered al fresco dining table and more casual seating. Moving up again, the flybridge is home to a Jacuzzi and sunpads for the ultimate relaxation. Yet more seating and sunpads can be found on the forward deck with Portugese style seating and padded seating on the bow. Guests will be spoilt for choice for where to retreat to!